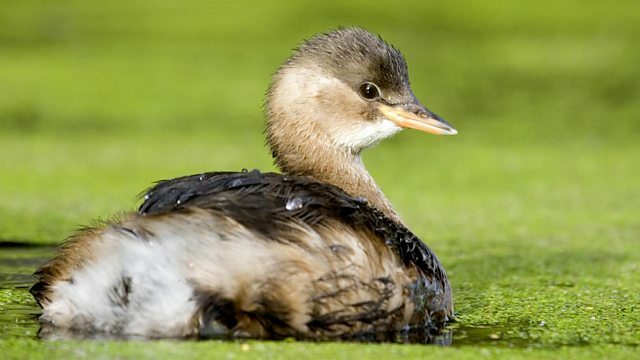 Kate Humble presents the little grebe. Kate Humble presents the little grebe. Little grebes are our smallest grebes. They're dumpy birds with dark brown feathers and in the breeding season have a very obvious chestnut patch on their necks and cheeks. Little grebes are secretive birds, especially in the breeding season when they lurk in reeds and rushes or dive to avoid being seen.